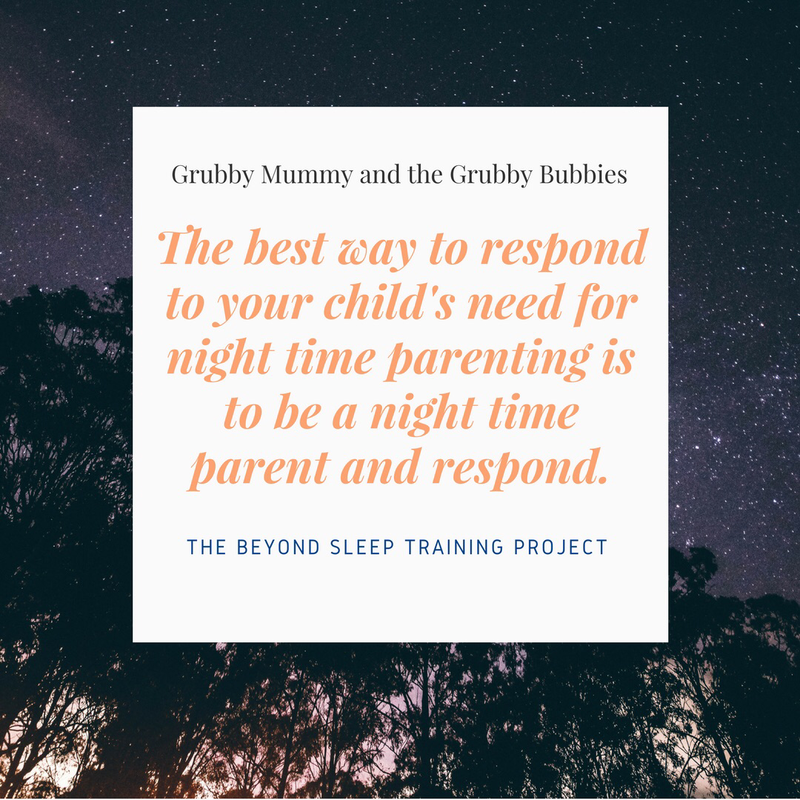 In response to flack on a prominent sleep training consultant’s page. My son sounds very much like your baby. I’m sorry to hear of your experience…it sounds awful. Thank you for speaking out about it. We currently have a nanny who keeps pushing us to sleep train our now 10 month old bc he isn’t napping in a crib yet (baby hammock). Today she told me it was “unnatural” for him not to be sleeping alone in his crib by now and for him to still want soothing to sleep of any kind. It’s amazing how deeply sleep training methods get indoctrinated as THE right way to handle sleep in this culture. Responsive settling definitely sounded good at first, but I expect my son would react very similarly to your baby. Is there any way you could give some more info about the possum video and the gist of what they suggest? 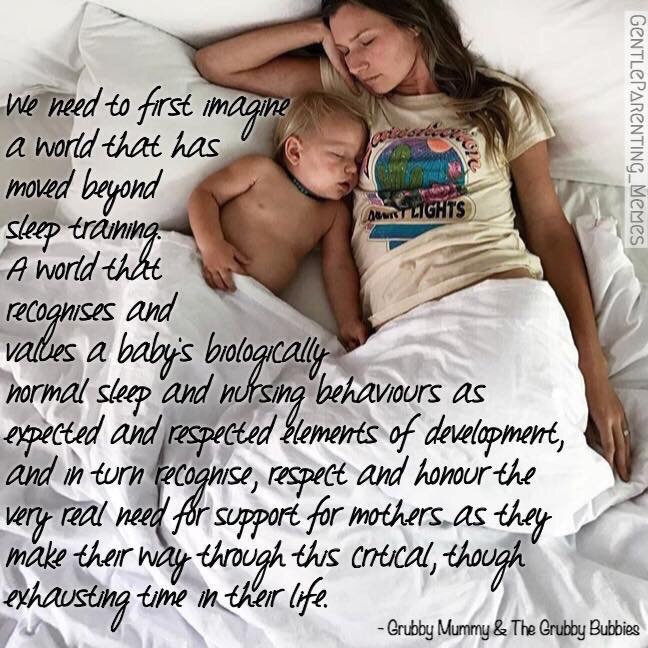 I currently co-sleep with my son and it’s mostly sustainable (although he wakes constantly). I’m interested in learning healthy options for transitioning him to independent sleep as we may want to have another baby in the not too distant future, and I know I won’t be able to keep this current arrangement going while pregnant. Hope you and your baby are well! This was my exact experience when my baby was 4.5mths old and we went to the mother baby unit in desperation. Everything was exactly as you described and it competely broke me. Sadly I only found Possums when he was 9 months old and I am still recovering from the trauma and self doubt that was instilled in me from those early months of forced sleep training. Thank you for your post. It had me sobbing through the majority of it. My little one feed every 90 minutes for the first 4 months of his life- night and day. I was a walking zombie, as most of us new mom’s are! He’s now 15 months and wakes 3-4 times a night to nurse and I feel like a functional adult after that beginning stage. I am lucky in that my mother pushed me to co-sleep from birth and has supported me in that. Not everyone understand, and a lot of people feel they have the right to give me lip about it, especially family and my in-laws. There is a lot of accusations of ‘spoiling’ and ‘ruining’ him- which they say minutes after they talk about what a delightful and sweet child he is. We had to spend a month in the hospital when he was born and the nurses had him feeding “on-schedule”, not on-demand, in order to work around his tests and care-needs. I remember the times I sat there watching him hysterically cry for me and milk, while my milk freely dripped down my chest and onto his incubator, and not being able to do anything while the nurse moved so slow to do her tasks that she needed to do before I feed him. It is utterly and unforgettably a full body heart break. I can never forget that feeling in myself. I feel like if a mother feels that it is wrong it must be. No adherence to any program is worth breaking the trust with your child and breaking your own heart. Thanks for your share!